Rosemarie is a real name of mine but my relatives, friends and everyone called me Rh0ze. A moody, spoiled brat but sweet sweet daughter to my parents and mother to my two kids and a married person. A loving and caring mother of two. I love Blogging, Designing and adventures.more about me? All content here is 100% written by me. All the content you see here is owned by me.. Powered by Blogger. Good evening guys and good evening everyone and blogging world. Long time, no see guys, anyways, how's everyone today? Hope everyone of us is had a beautiful and wonderful day. Anyways, last Friday, October 10, I celebrate my 30th birthday in my house only together with my kids. 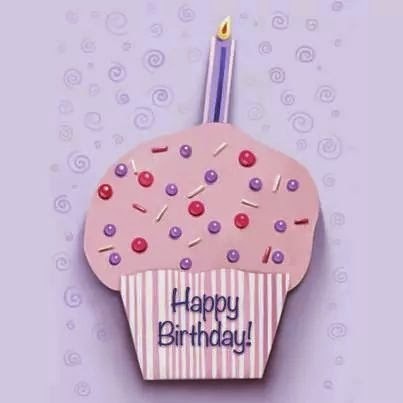 But that day is just a ordinary day for me, I never experience to had a big celebration for my birthday. Going to church and cook a little food like pancit and juice is so enough to me since I born in a simple family. Oh god, I'm not young anymore, one age to go before my age is not in calendar, lol. I'm already 30 now but still looking beautiful, gorgeous and young, heheheh "nagbuhat ng sariling upuan, lol". Anyways, my wish for myself is good health and always happy. That's it for now, once again Happy Birthday to me although it's late "na". Oh by the way, before I end this short blog post of mine, I just wanna thanks to all people who greet me on my birthday last October, to my friends in real life and to my friends in facebook and to my sister-in-law and to my two (2) brothers. Thank you so much to greeting me. And the best thing i got at that time and the beautiful gift I got is the wellness of my son. I mean God answer my prayer "na gumaling na ang anak ko" and he gave it to me. And also I would like to say thank you to the person who gave a beautiful greetings graphic to me on my facebook. It's simple graphic but I really like it and I really love it. And sorry if I post and I display your graphic here at my blog so late but still thank you so much. God bless you and have a blessed Monday to all. Happy blogging to all, mwaaaah. is having and hosting a blog contest/giveaways on her blog. And she do it to say "thank you" and show her thankfulness to us, to all people and bloggers who love their blog and to her supporter and follower. 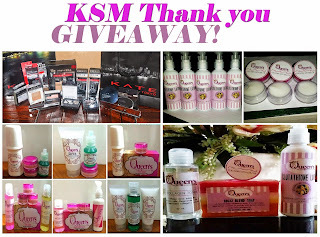 Her blog contest/giveaways was had a title of "KSM Thank You Giveaways". On this giveaway you have a two (2) options or choices if what you want to join. On the first giveaway, you can win a "Kate Tokyo Products, like what you can see on the picture below. 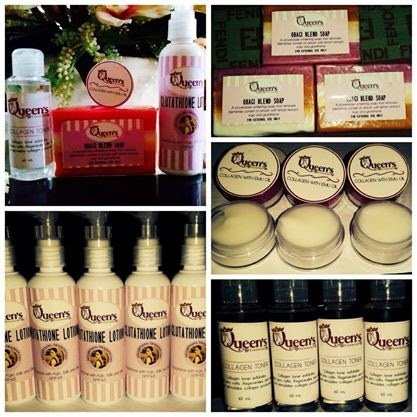 And the second giveaway is a "Reseller Package worth of 3,000 php from Queen's Essential. On this giveaway you can get the following on the picture. So guys, what are you waiting for, join these contest and win the following prizes. You had a more time to join guys, so you don't need to worry. Do you know this application already guys? If not, Bloggeroid is a awesome android application for blogger/blogspot users that we can post and update on our blogsite and that we can blogged on the go whenever we are and whatever we do? This application is so helpful to me because I don't need to open my browser and not need to log-in on my blogger account to just updated and to make a post on all my blogsites. On bloggeroid once you download and installed it on your gadget, smartphone or tablet, you can used it immediately and also you can start to create your blog post of the day and publish it directly on your own blog without hustle. Bloggeroid is the best and the eady way to blogged and this is for all owners and to those nlogger who have a blog in and powered by blogger.com users only. This application is now available in google play store and you can download it there too. Just search this application and that's it. This is not my first time to used and to download this apps. I used it already a long long time ago, year back of 2012. And now, I back and moved all my blogs here at blogger.com at the third time, idecide to download and used this apps again. And I tell you know guys, that this post of mine tonight is posted and created via bloggeroid. It's so easy to used guys, I save my time now because of this apps. And I share this apps via this post of mine tonight and I recommend this application to all blogger.com users. Try this apps, and start now to save your time too, like me. Hello blogging world, good evening. How's everyone tonight, i hope everyone are fine and safe tonight. Anyways, i really don't know where to start and how to start this blog post and update of mine tonight. Because of my long absence here at blogging world and to my other online responsibilities, i feel so irresponsible blogger, writer and owner. I said this words because last month of June, i sign-up and i joined in blogging challenge or should i say writing challenge that i found while i'm browsing. And the challenge was starting already this month of July, this first (1) day of July. The #30 Days Of Blogging Challenge is owned and hosted by Geraldine Galit and the said challenge is running for thirty (30) days, for the whole month of July. And sad to say guys, i'm not yet doing my part on this challenge. Each day of this month Geraldine Galit gave a different topic to all members to post and to write it to our own blog's. She gave the topic via our email, meaning everyday we always received email from the owner. Ever since i will never do my part. And shame on me, oh god, i'm so irresponsible blogger. I hope ma'am Geraldine Galit who is the owner of this challenge is not angry to me. After this blog post and this update of mine tonight, i promise i will do my part "na". I hope it's not too late to do it i mean to do my part on this challenge. Ans also i hope the owner of this challenge give me a chance to doing my part. Thank you and god bless you all. Hello guys, good evening to all of you. I hope everyone are fine and ok this day. Anyways, it's been a long time since i blogged here and I made a post here. Because of this I want to apologize I'm just busy on my life and also busy to just being a mom to my 2 months old baby. Anyways, forget about it, the reason of mine why I'm here now at my blog is because I want to apologize to all my co-members of all my groups in Facebook specially to the admins. I'm really sorry guys, sorry to "Comment Exchange Group" members and admins, sorry also to "Social Marketing Group" and to "Blog Syntication Help Group". I'm not doing well my online resposibilities as a member to those groups of mine in facebook these past few weeks. I'm really really sorry but now i'm back again, i will do it now. Anyways, i made this post ti apologize to all of you and i'm hoping that i'm still in at the group. Good evening everyone, how are you all tonight? Hope everyone are fine and happy. Anyway, today we celebrating Father's Day and the day today is for all the father out there. That's why I made this blog post of mine and I would like to greet the four boys of my life who is so very important to me which is my father, my loving husband and my two brothers. And this post is for all of them, I hope they like it. First of all I would like to greet my beloving father a Happy Happy Father's Day. Today I want to show to you Tatay my respect and my love to you. I can't show and I can't say how much I love you in person but I hope because of this post of mine tonight you know it already. Life is so short, we don't know if when God get our life. To my father I would like to thank you for everything, for the love you given to us, for all the sacrifices you did for us. Because of you and your sacrifices we have a beautiful life and better future and we graduated a college although it's two years course only. And now, you are old already it's time to us to pay and to return all the sacrifice s you did for us. I'm so proud and so blessed to having a father like you. Loving, caring, understanding and do everything for us, for their family. I love you so much tatay, please always stay healthy and please always take care of yourselves. Always remember "tatay" that I'm always here for you, to both of you. I will always supporting you whether in financial ways and in moral support. I love you so much "tatay ko". You are the best father in the whole world for me. Always remember, I'm always here for you and I will always take care of you no matter what and for forever.